The team on the Helpdesk often get asked "what can I do to stop having duplicate trader transactions in my database?" Make sure you've imported and coded your bank transactions first including the transaction for your trader account. If you're not sure what to code it to, try FW (Farm Working). Once you import the trader statement, you'll be able to allocate the correct code to each item. 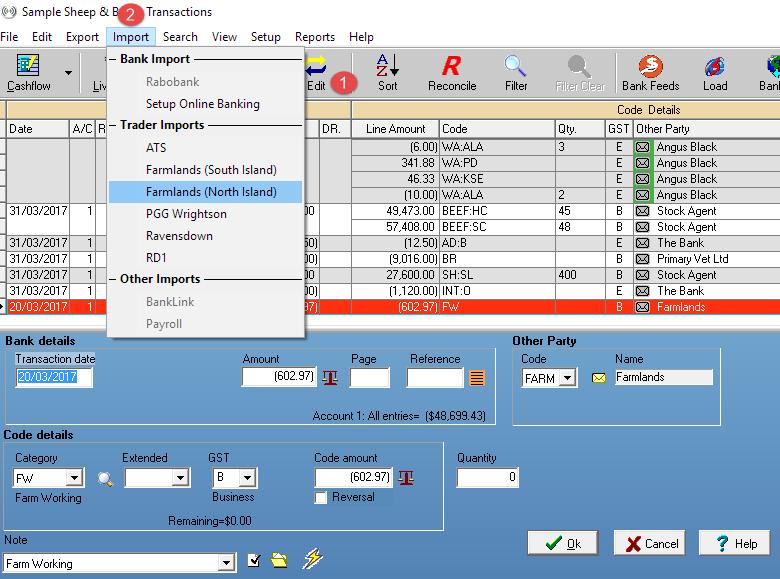 Locate the bank transaction in Cashmanager RURAL and put it into edit mode. When the bottom of your screen turns blue, the transaction is ready to edit. 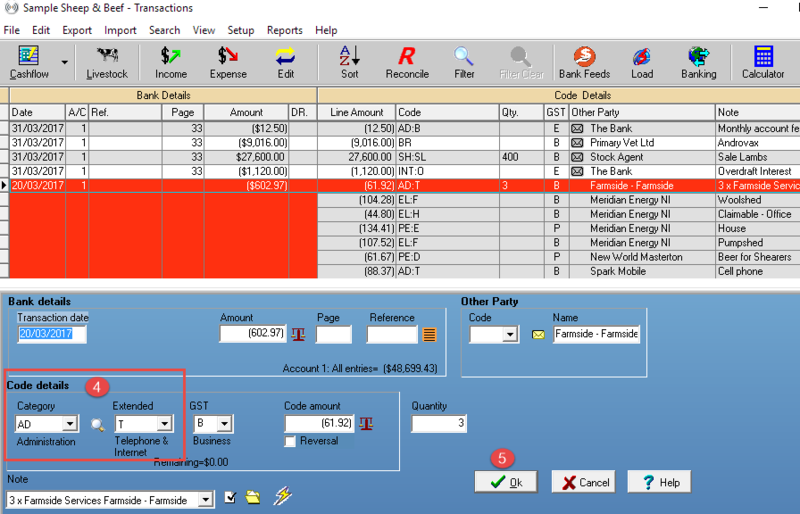 Tip: To identify a bank transaction that has been imported, look for the + symbol in the Page column. Click on Import and select the trader you want to import. If you have saved a .csv file to your PC, browse for the file and click OK. If you use the Farmlands Feed, you can choose which statement period you want to import. Click Yes to bring the statement items into the bank transaction. The transaction now becomes a split or multi-line transaction while still retaining the transaction date and amount that was paid from your bank account. Every line needs a category and extended code before you can complete the transaction. Try Autocoding to quickly code each item. Once each item has been coded, click Ok to save the transaction. TIP: Want to know how to properly record your milk income? Have a look at How to enter a split or multi-line transaction.